Vreeland’s goal is to get participants inspired to chase their swimming goals as well – and they have a front-row seat to learn the practical steps to improving their strokes! 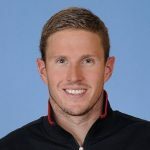 With a deep background of training and racing all strokes and distances, Vreeland is your true, all-around swim expert. Though she started out as a 200 backstroke specialist, she gradually gravitated towards middle and distance free. By the time she was in the eighth grade, she focused on the 500 free and up as well as the individual medleys. 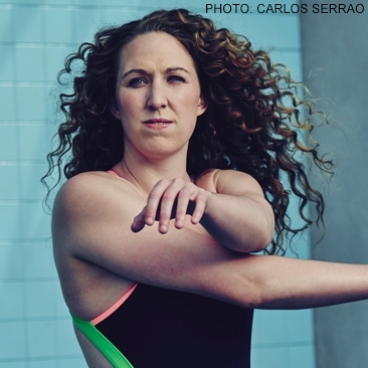 “My coach used to say that if you could swim a mile you could swim anything,” she explains. To her surprise, it also meant she could do well in shorter races, too. Frustrated after she continued narrowly missing her 2008 Olympic Trials cuts in the IMs and 800 free, Vreeland asked her coach to enter her in the 100 free at sectionals instead. With the pressure off, Vreeland finally had a breakthrough. Vreeland’s performances at Junior Nationals got the attention of University of Georgia coach Harvey Humphries. “Coming out of high school I didn’t think I had the times to swim at Georgia,” she says, “but it’s hard to say no to Harvey.” And she didn’t. Going to Georgia challenged her confidence, but it is important for swimmers to realize that challenging each other every day with the fastest swimmers in practice is what ultimately leads to growth. Overcoming self-doubt and rising to the daily challenges of bringing your best self to practice day in and day out will eventually translate into long-term success. But it was the unheralded freshman who won the day. “I ultimately dropped six seconds from my current best time and won my first-ever SEC race. I was so excited I could barely form full sentences in the post race interview.” At her final SECs in 2014, she claimed the 200 free title and meet record. Vreeland entered the 2012 Olympic Trials without any big expectations — in fact, her goal meet was nationals, where she hoped to clinch a berth on the World University Games squad. She’d only been under the 2:00 barrier in the 200 free twice up to that point. To her shock, she placed fifth in the final to make the 800 free relay team. “There’s a picture of me that everyone thinks is the shot of me making the team, but it’s actually me just looking totally stunned after winning my semi final heat and going 1:57!” she laughs. In London, she was beset with illness for the first half of the meet. “I’d been panicking, I didn’t want to have put in all of that work just to have to miss the meet.” But there was no reason to worry: she recovered well enough to turn in the fastest prelim time and with it, a slot in the final. Life continues to include pacing the pool deck, but this time it is as a clinician with a passion for developing participants at Fitter & Faster clinics! Sign up for her next clinic today! Photos courtesy of SPEEDO and Carlos Serraro.